Jon Hellevig is the managing partner of Awara Group, www.awaragroup.com one of the leading business administration and outsourcing firms in Russia in the fields of human resources (recruitment, executive search, training), accounting, tax compliance, and law. Hellevig has gained a solid experience in Russian business administration having worked and lived in Russia for more than 20 years since the start of market reforms in early 1990's. Hellevig also functions as the managing partner of Hellevig, Klein & Usov, the law firm of Awara Group www.hkupartners.com. Awara Direct Search is the executive search and recruitment firm of Awara Group, www.awara-search.com. Hellevig is a member of the Supervisory Council of the training firm and seminar organizer Awara Eduhouse Training, http://www.awaraeduhouse.com. Hellevig started his carrier in Russia as lawyer and CFO for an American-Russian joint venture and subsequently worked as lawyer and CFO for Armstrong World Industries (Central and East Europe). Hellevig was the founding partner of what is now Hellevig, Klein & Usov, part of Awara Group. He is a member of the Board of AEB (Association of European Businesses), the most influential business association for foreign companies in Russia. As the managing partner of Awara Group and in view of his long experience in Russian business and Russian culture, Hellevig is also involved in organizational consulting and executive search with Awara Direct Search. From his professional activities in law Hellevig has developed an interest in the philosophy of social practices, human behavior, law and democratic competition. These interests has further led him to study the fundamentals of human knowledge which according to Hellevig are founded in social practices which in turn represent actions based on individual interpretation of feelings. The latter ideas stem from and form the premises for Hellevig's linguistic theories as expressed in his book The Case Against Chomsky. 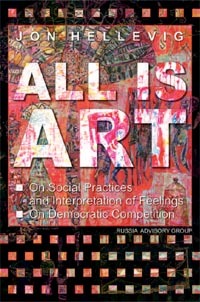 Hellevig has written Avenir Guide to Russian Taxes (2002, 2003, 2006 English and Russian editions); Avenir Guide to Labor Laws (2002, 2003, 2006 English and Russian editions). 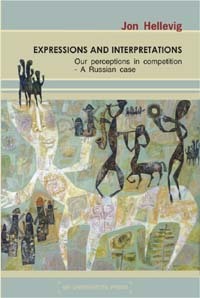 This work is now being continued in the form of Awara Russian Tax Guide, which can presently be accessed here http://www.awarablogs.com/group; Expressions and Interpretations, a book on the philosophy of law and the development of Russian legal practices; All is Art. 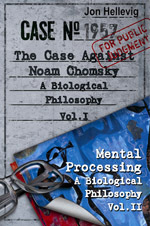 On Social Practices and On Democratic Competition (2007 English, 2009 Russian Vse Tvorchestvo); The Case Against Chomsky - A Biological Philosophy Volume 1 (2010); and Mental Processing вЂ“ A Biological Philosophy Volume 2 (2010); Employee Engagement in Russia, which can be downloaded from this link. Hellevig takes actively part in public discussion of current affairs and social structure contributing with articles and commentary in the media. He regularly lectures at international seminars on topics within his specializations. Before entering the Russian market Hellevig gained experience at the Central Bank of Finland; the successor bank of present day Nordea; and the private bank which is now called Mandatum вЂ“having been a co-founder of the latter. Jon Hellevig has a University degree in Law from the University of Helsinki, Finland (1985). In 1998 he acquired an MBA with the Ecole Nationale des Ponts et des Chaussees and University of Bristol Graduate School of International Business with KPMG European Training Center, 1998. Jon Hellevig is multi-lingual with respect to the following 4 languages: English, Russian, Swedish (native) and Finnish (native); and has also knowledge of Spanish, French and German, without being conversational in the last three.